PREPHub. Concept art courtesy of the project team. 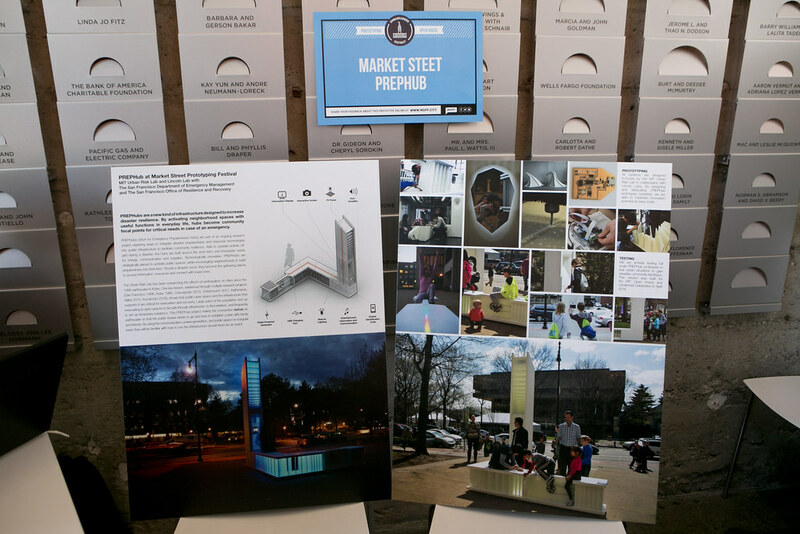 The PREPHub project is an ongoing research collaboration between the Urban Risk Lab in MIT’s School of Architecture and Planning and MIT’s Lincoln Laboratory. 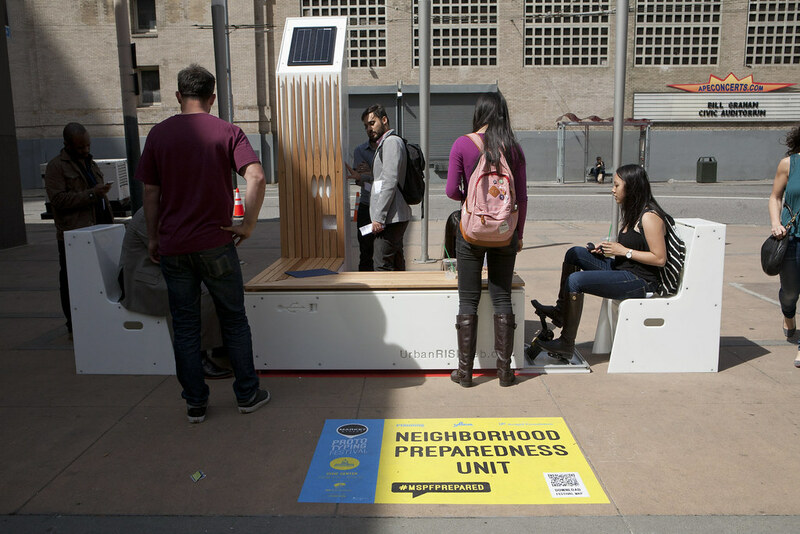 Cities are densifying at an unprecedented rate around the world, exposing them to greater natural disaster risk. The infrastructure supporting this urbanization is vulnerable. 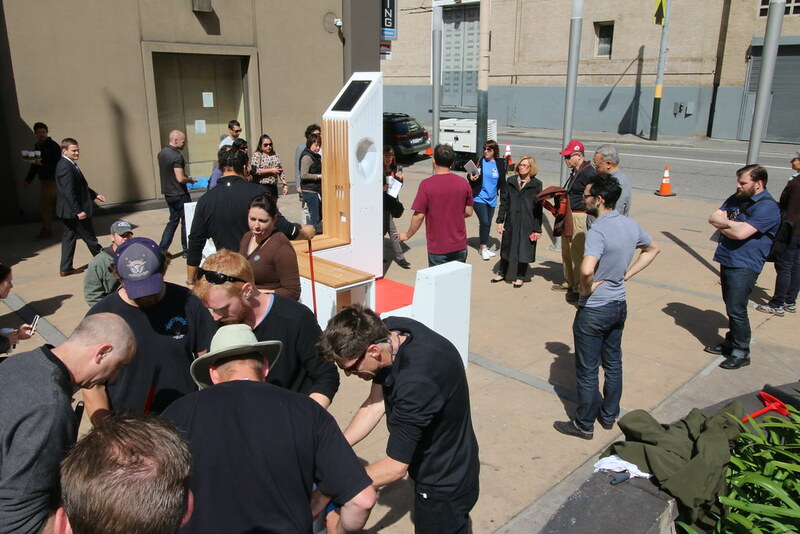 When an earthquake hits, these lifelines often break, leaving survivors without power, water, or communications. 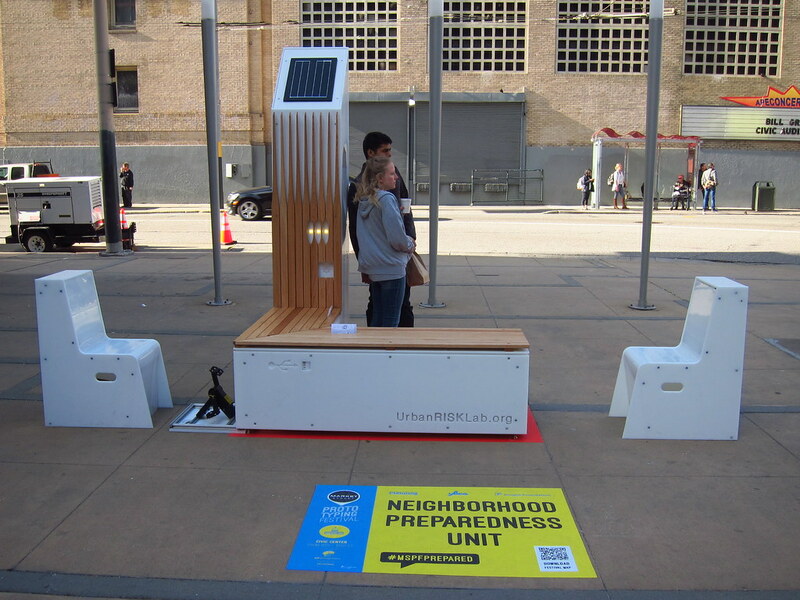 But what if public spaces already had these resources embedded in them as off-grid everyday amenities? PREPHubs are composed of critical lifeline modules that form a flexible kit of parts which can be combined in different ways. 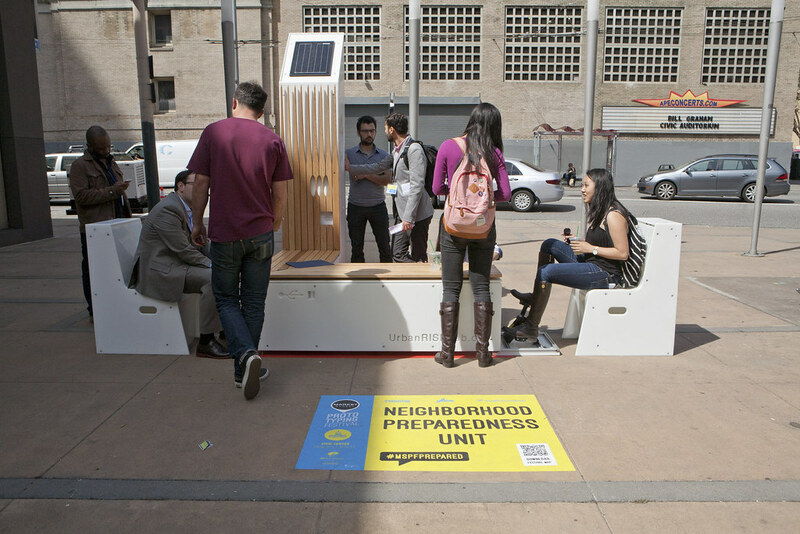 The Market Street PREPHub will allow you to charge a phone, listen to the radio, hear public announcements, or connect with loved ones. 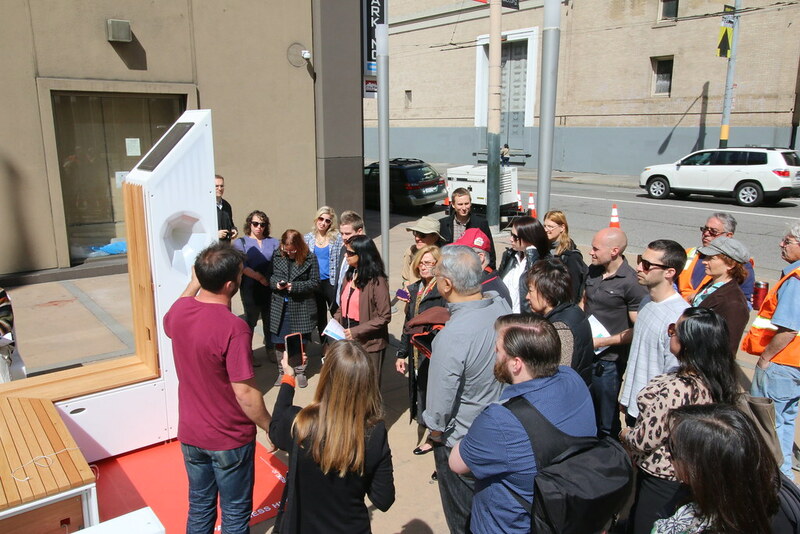 Because it is embedded in the community, it can become integral to everyday life, beautifying and activating public space while acting as a reminder for disaster preparation. 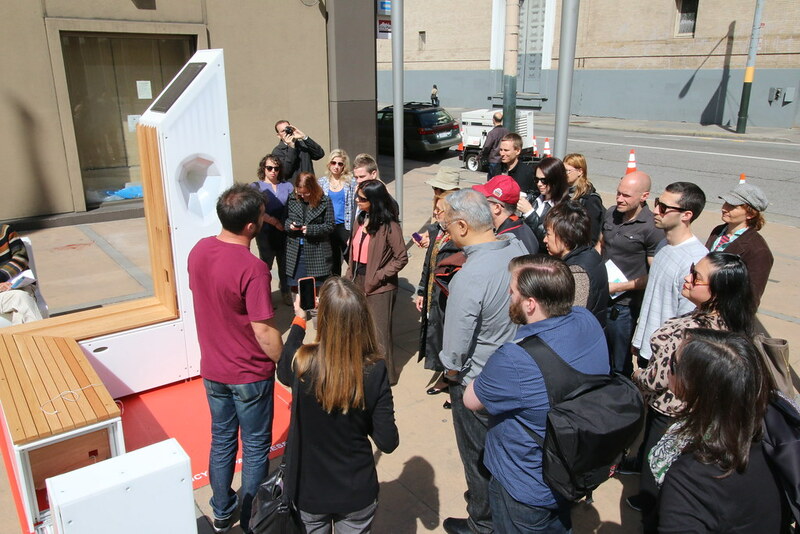 If an earthquake hits, the dual function PREPHub will become a meeting point to receive resources and connect with family, reducing panic and helping the community begin its recovery. 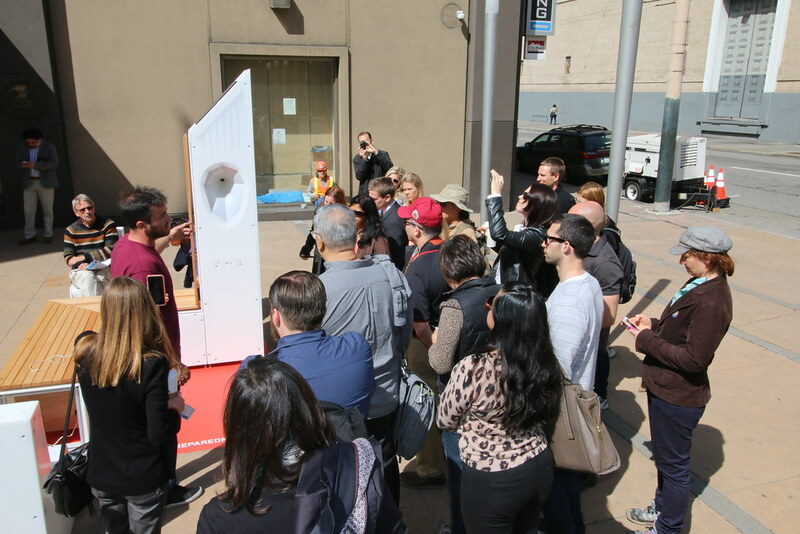 We are actively testing full scale PREPHub prototypes in real urban situations for feedback, and are very excited to be coming back to Market Street and the Prototyping Festival for a longer term installation.